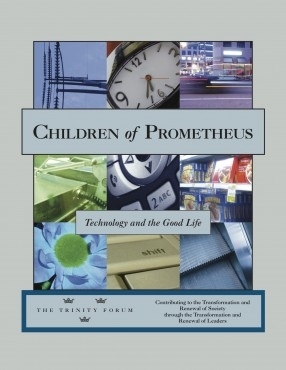 Our seminar curriculum on technology, Children of Prometheus, is newly revised and available for use at our events. This 23-page PDF download is a sampling from the larger curriculum and will be great for small group use over one or two sessions. The sampler includes the curriculum introduction and four full excerpts, including selections from Charles Van Doren on the scientific revolution, Richard Swenson on time and margin, Stephen Jay Gould on predicting the future, and Jacques Ellul’s questions on technology. It also includes the full table of contents.